Authorities are looking for information about an accident that happened south of Arlington last week. 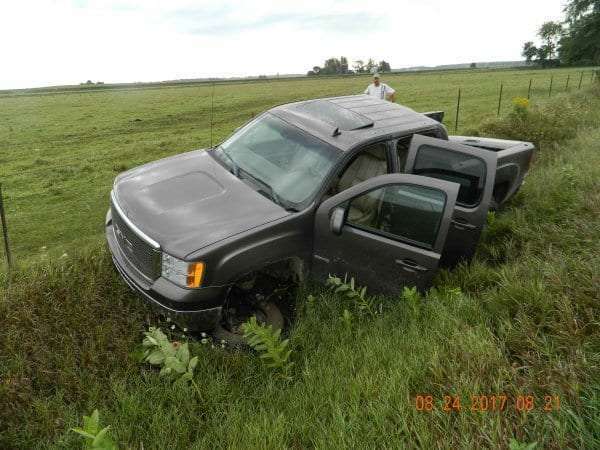 The Fayette County Sheriff’s Office says last Thursday morning, they received a 911 call of a vehicle in the ditch on B Avenue just north of 50th Street. When deputies arrived, they discovered a pickup truck owned by 27-year old Timothy Paris of Arlington had gone into the ditch, but no one was in the vehicle. The pickup was totaled. The Sheriff’s Office is investigating and they are asking anyone with information regarding the accident to call them.